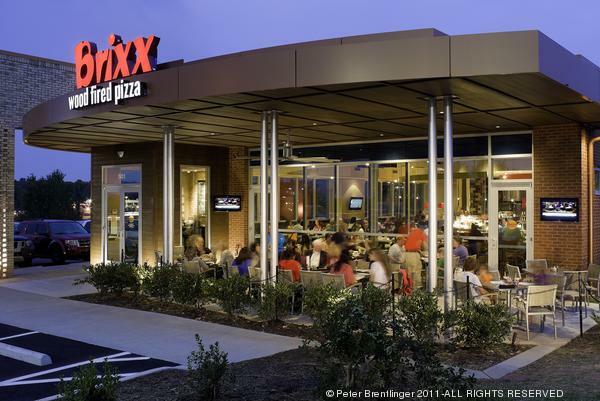 With the new Brixx Wood Fired Pizza restaurant now open at Cameron Village in Raleigh, the Charlotte-based pizza chain is making plans to open two more locations in Cary in 2015. Brixx has signed leases to open new restaurants in both the new Parkside Town Commons retail development, located at N.C. 55 and N.C. 540/Triangle Expressway, and at the new Bradford apartment and retail complex at Davis Drive and High House Road. The 3,625-square-foot Brixx Pizza at Bradford is expected to open in spring 2015, along with a new bank branch for Union Bank. Additional retailers opening this winter at Bradford include the Triangle’s first Publix supermarket, Tijuana Flats Burrito Company, Hand and Stone Massage and Facial Spa, Bellagio Nail Bar and PostalAnnex+, according to the project’s retail leasing group with Crosland Southeast. Wendy Nabors, president of Barrett Nabors Commercial of Raleigh, represented Brixx Pizza in all three of its lease deals in Cary and Raleigh. Brixx also has Triangle locations in Raleigh’s Brier Creek Shopping Center and Chapel Hill’s Meadowmont Village.